The Control4 DS2 Door Station provides an exceptional video and audio intercom experience in combination with video intercom touch screens, providing the ability to monitor and communicate with your front door, gate, and other entryways. The Control4 DS2 Door Station with Keypad, available in Winnipeg from Creative Audio, delivers full-motion video and high-quality audio intercom for crystal clear communications and video security throughout your home or business. You can see who is at the front door from any room or even from the backyard, when used with Control4 Touch Screens with integrated camera. The Control4 DS2 Door Station with Keypad features motion detection, fast connection speed, and camera snapshots to mobile devices. 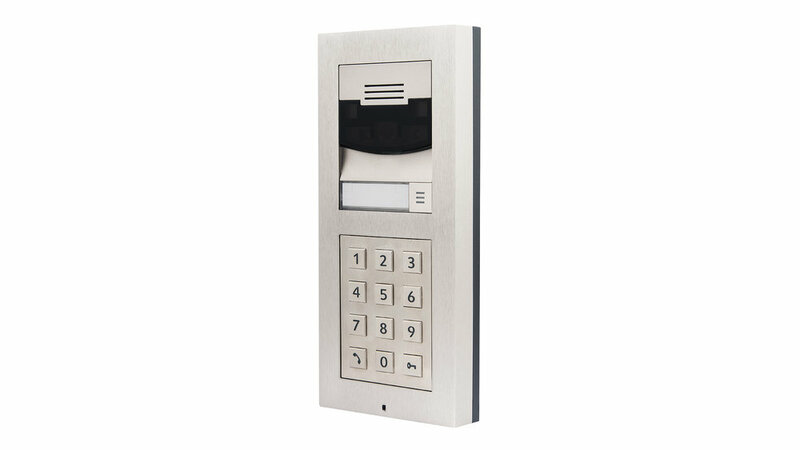 Available in flush-mount and surface-mount options, and with or without integrated keypad. Note: The Control4 DS2 Door Station with Keypad is not sold as a standalone product, but rather as part of a complete Control4 system. Its interface and functionality is custom programmed by our trained and certified Control4 programmers. For more information on how Control4 can be integrated into your home, please complete the form below, and one of our team will be in touch with you shortly! Are you interested in the Control4 DS2 Door Station with Keypad? Thank you for your interest in the Control4 DS2 Door Station with Keypad! One of our team will be in touch with you very soon.